We invented the single stranded RNA origami method (Geary, Rothemund & Andersen, Science 2014). We developed a multi-fluorophore biosensor for easy detection in fluorescence microscopes (Selnihhin et al., ACS Nano 2018). 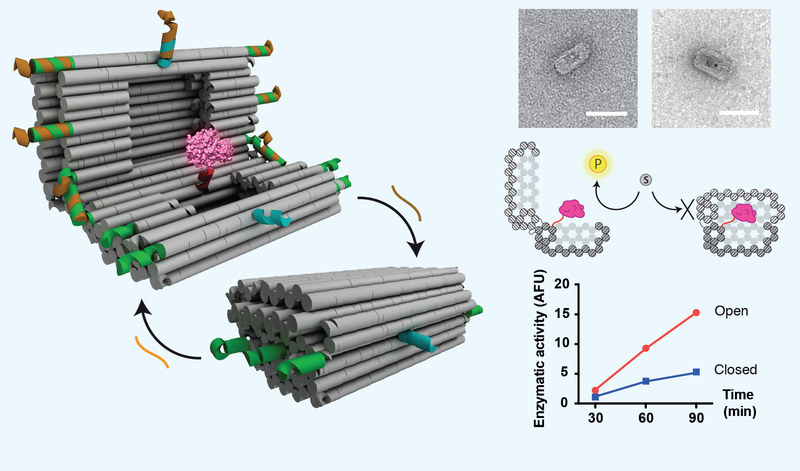 We designed a DNA nanovault to encapsulate and control enzymes (Grossi et al., Nature Comm. 2017). 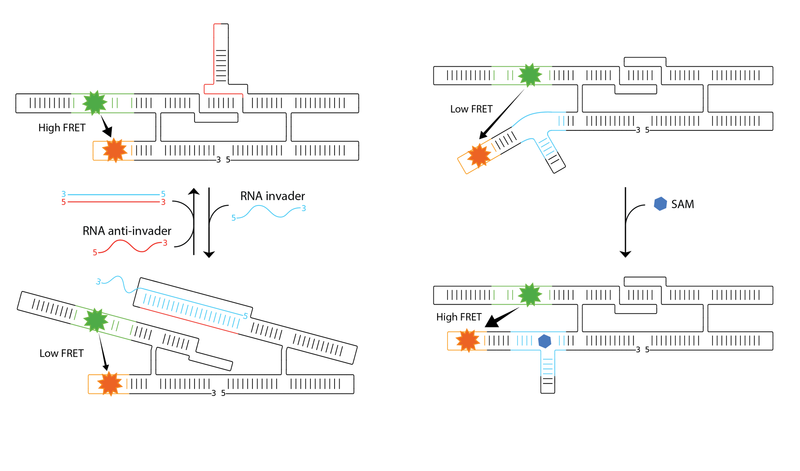 We developed aptamer-based FRET and implemented RNA origami devices (Jepsen et al., Nature Comm. 2018). 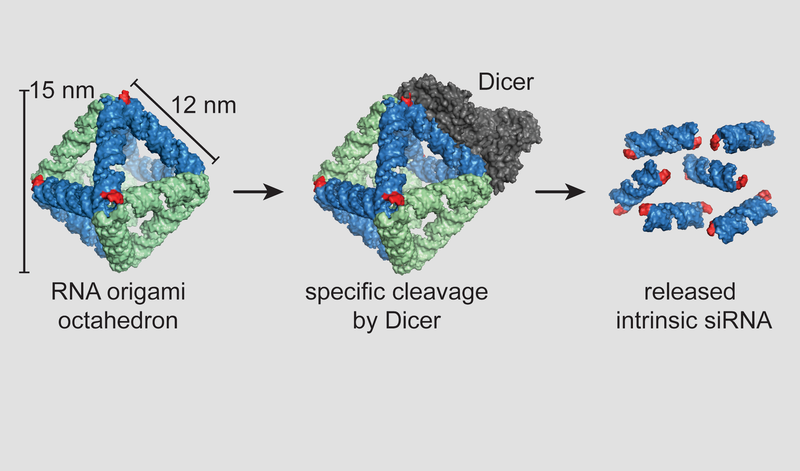 We developed an RNA origami octahedron with 6 intrinsic siRNAs for potent knockdown (Høiberg et al., Biotechnology Journal 2018). 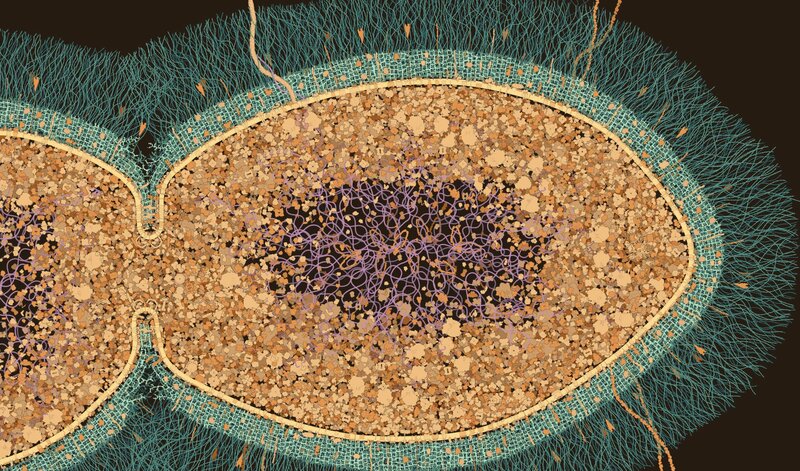 We visualized the molecular landscape of Streptococcus pneumoniae (Engholm et al., FEMS Microbiology Reviews 2017). 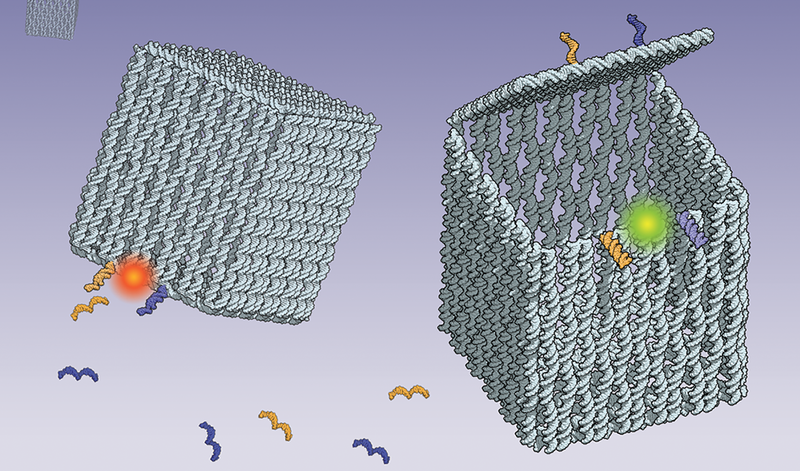 We designed DNA origami boxes with controllable lids (Andersen et al., Nature 2009). 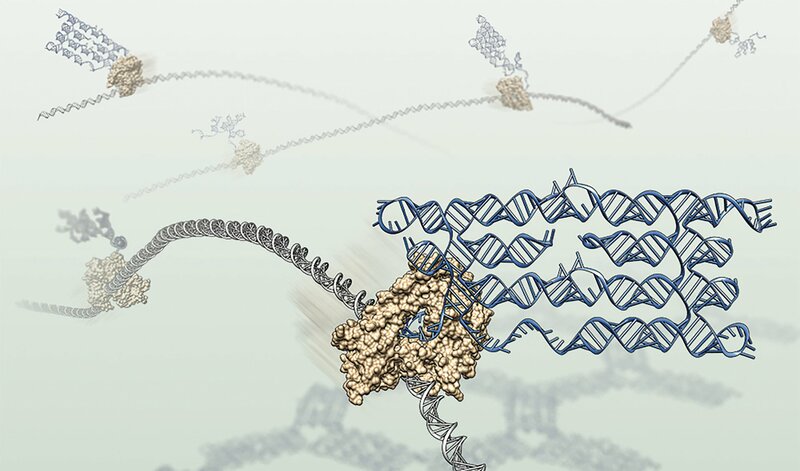 We design nano-scale devices using biomolecules as building blocks. Our research aims at understanding the fundamental principles of how biomolecules fold into unique and functional shapes and at using this insight to guide the design of novel nanoscale devices for both basic science and technological applications. This website provides an overview of our research group and our research and teaching activities. Bente starts an industrial PhD project in collaboration with Novo Nordisk with co-supervisor Vera Schramke. The project is funded by the Innovation Foundation Denmark. Congratulations to Ane for successfully defending her PhD thesis on taking RNA nanotechnology in vivo in E. coli and C. elegans. We introduce genus trace and find that it encodes interesting physical and biological information about the three dimensional structural complexity of RNA and protein molecules. Adrien Boussebayle starts as a postdoctoral researcher November 2018. He did his PhD studies in laboratory of Beatrix Suess as part of the MetaRNA PhD school. His main research focus is on selection procedures to develop novel sensor elements. Mette's lab bench and and Guido's DNA vault have been exhibited at the local science museum in an exhibition called "Science is passion" that has been made in relation to the 100 year birthday of the local Nobel laureate Jens Christian Skou. 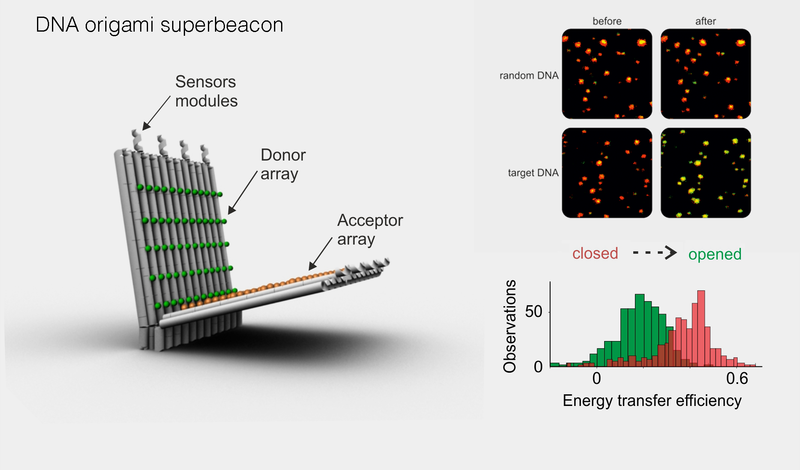 Nucleic Acid Nanotechnology: from algorithmic design to biochemical applications. The workshop brings together scientists working on various aspects of Nucleic Acid Nanotechnology to discuss recent advances, fundamental challenges and emerging trends of this fascinating research field. The Andersen Lab is located at the Interdisciplinary Nanoscience Center, Aarhus University, Aarhus, Denmark. We are also affiliated with the Department of Molecular Biology and Genetics. The lab is currently funded by the European Research Council, the Independent Research Fund Denmark, the Novo Nordisk Foundation and the Innovation Fund Denmark. We are also part of the DNA-Robotics PhD school funded by the European Commission – Marie Skłodowska-Curie Actions. You are welcome to contact Ebbe S. Andersen by phone or email if you are interested in working with us.